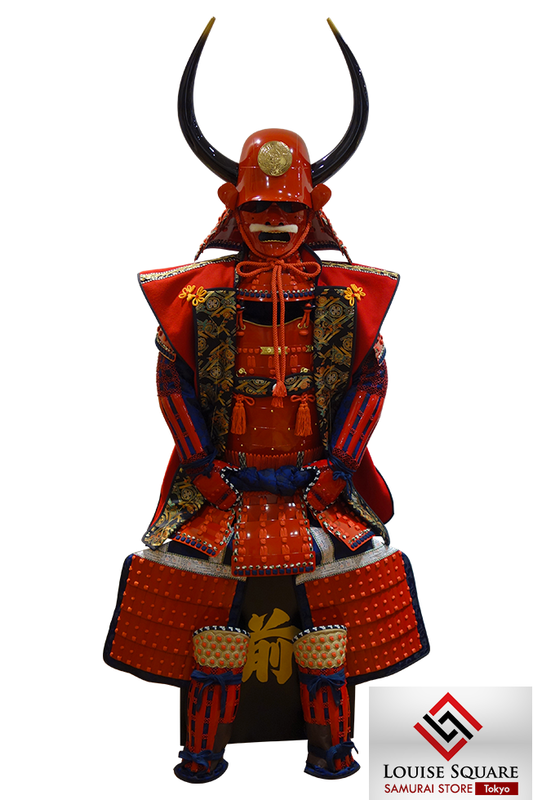 Brand new life-size armor modeled after Sanada Yukimura’s Akazonae featuring a Zunari, or “human head-shaped” kabuto with large side horns. 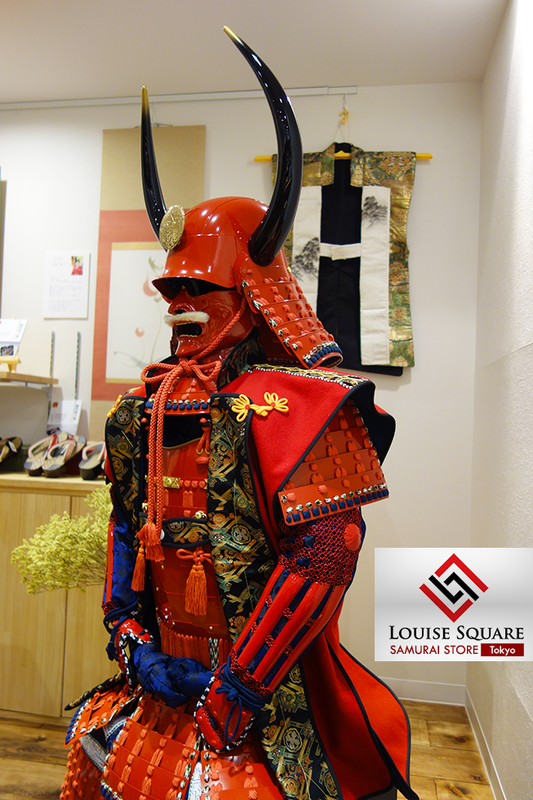 This suit’s body armor is constructed by hand, using multiple iron pieces, beautiful lacing and elaborately crafted chain-mall. 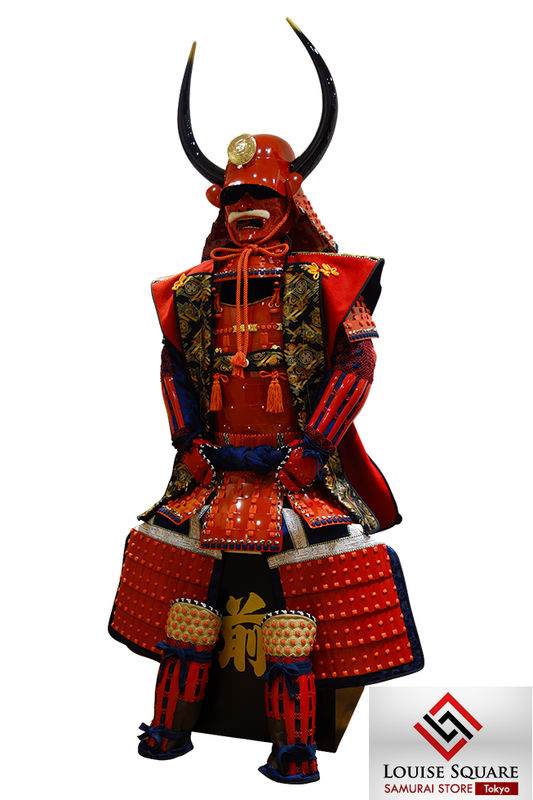 The body is finished with the golden steel accent called Hasso-Kanagu that makes the armor look gorgeous, and whole iron pieces are aged-finished by hand. 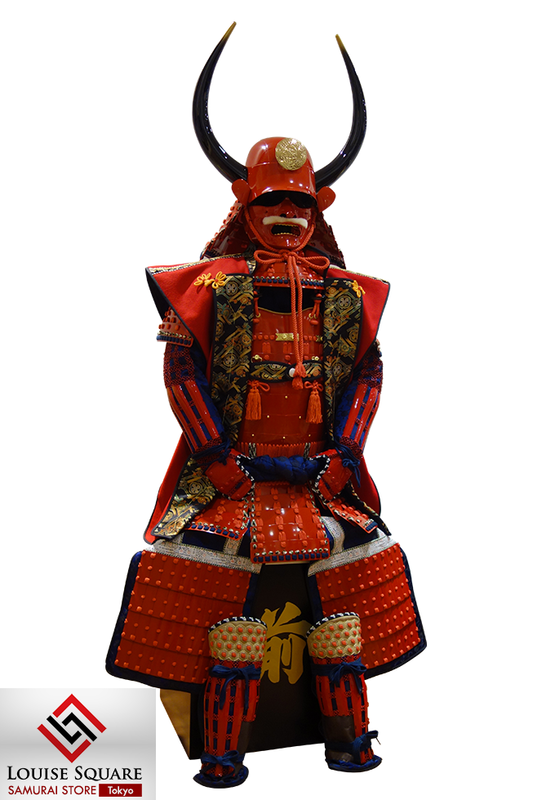 A hand-crafted warlord surcoat JINBAORI comes with the armor. Special customized chest armor also comes with. A number of traditional Japanese family crests can be added to the storage box for free. 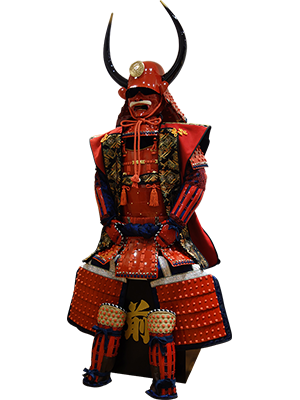 You can choose your favorite samurai crest from our list.